The superb 5 star Iberostar Anthelia is situated in Costa Adeje, across from Fanabe beach and next to the Playa del Duque beach, its location is further enhanced by its proximity to the Natural Reserve of Barranco del Infierno, one of the most beautiful areas of Tenerife. Ideal for couples, families with children and business customers this award winning hotel lies a convenient 10 miles from the Tenerife South airport. 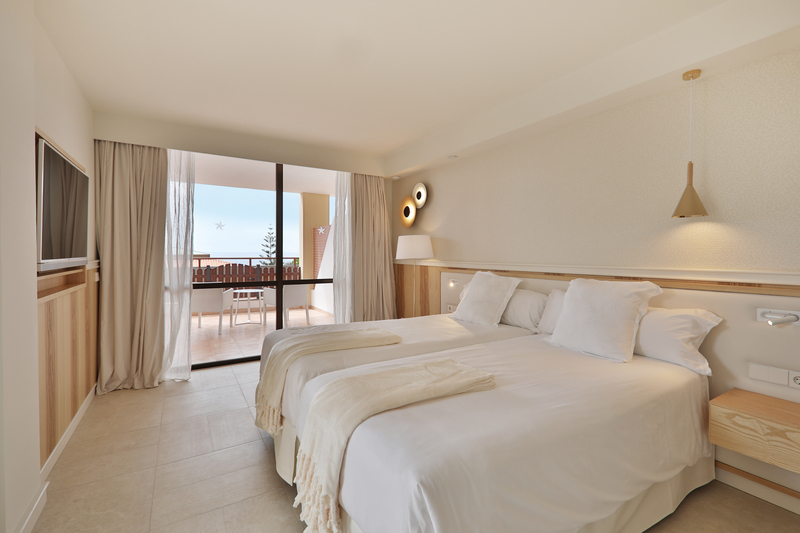 The spacious and well appointed rooms of the luxury Iberostar Anthelia hotel are sympathetically equipped in every detail for its guests to enjoy a completely stress-free holiday in Costa Adeje. Rooms are located in 5 separate buildings with a maximum of 5 floors; the hotel has 365 rooms all of which reflect the quality and elegance of a 5-star property. 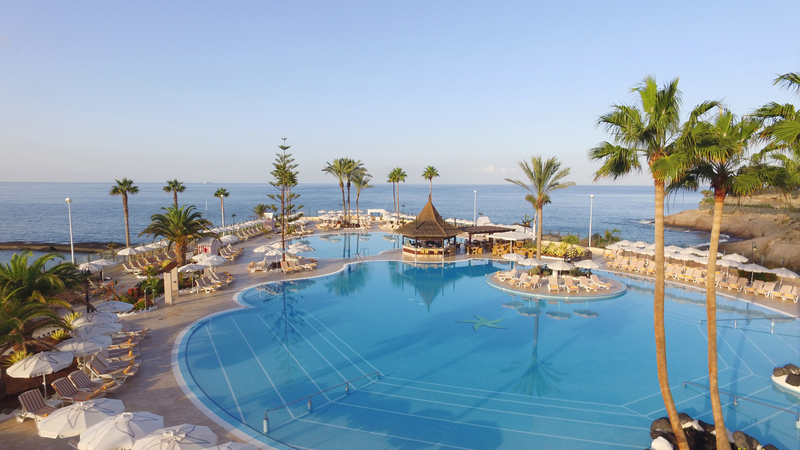 The Iberostar Anthelia Tenerife has 180 Double Rooms, 28 double superior priority location rooms, 15 Sea view suites and 142 family rooms (71 doubles rooms with connecting doors). 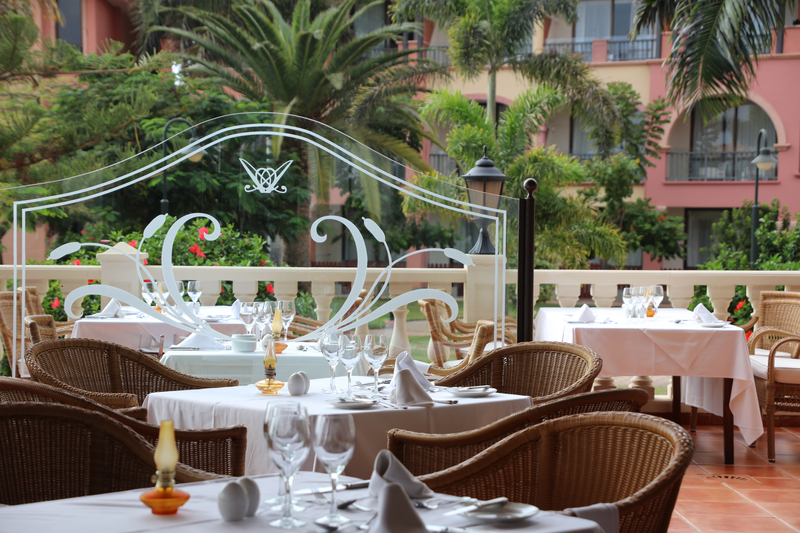 Separate from the main building is the buffet restaurant ‘Zeus’, three a la carte restaurants and the hotel’s bars. The hotel serves breakfast and evening meal in the buffet restaurant, or optionally guests staying in the hotel on half board basis can, with a supplement, have dinner in the a la carte restaurants. Note: Guests accommodated in the superior suites on half board can have dinner in the a la carte restaurants without supplement. The hotel has also a popular all inclusive option please check with us for further information. The Iberostar Anthelia has an array of holiday facilities to keep its guests fit, healthy and delightfully occupied during your stay. 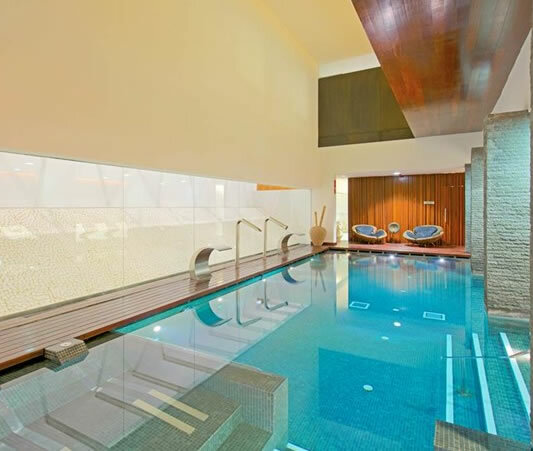 There is a tennis court, sauna, fitness Centre, golf course (within 3 km), spa & wellness centre, massage, children's playground, billiards, table tennis, hot tub, bowling, Turkish/steam Bath, indoor swimming pool and large outdoor pool. There is an entertainment program provided six days a week and run by the professional entertainment team. It offers animation during the day and also evening shows, the entertainment program includes life music five days a week. A mini club operates for children aged from 4 to 12 years old. For maximum relaxation why not visit the hotel’s Thai Zen space spa: a new spa centre inspired by oriental treatments and delivered by masseurs from Thailand who offer a range of massages and treatments based on ancient methods and traditions. A thermal circuit which consists of an active pool with a variety of jet massages and waterfalls, thermal pool 40º, cold water basin, Finnish sauna, steam bath, sensation showers and relax area. All sessions include refreshment, feet flower bath, and Jacuzzi with aromas. The sessions are around two to seven hours long, including a complete Spa lunch. The Iberostar Anthelia Costa Adeje provides guests with 24 hour reception services, room service, air conditioning, ATM/Cash machine, boutiques/stores, FREE WiFi internet access, bicycle rental, conference facilities with high-speed WiFi and A/V equipment for up to 550 people (cocktail-style). Car rental desk, cocktail lounge, coffee shop, concierge desk, currency exchange, Doctor on call, Florist, Gift/News stand, Hairdresser/barber, Wheel chair access.